Teenage is often considered as the life-changing phase of our lives, a bridge between childhood and adulthood. Most parents would witness their teenage children behaving weird sometimes, like being aloof when they are usually chatty. It can be tricky to tell if the child is just going through a natural phase, or is showing signs of bipolar in teens. This manic-depressive disease, as the word shows, is a brain-related disorder which hammers one’s moods and eventually their energy levels. For people suffering from this condition, it is like someone messing with their "mood switch", causing a ruckus in their school and personal life. Just like several other mental disorders, signs of bipolar disorder vary from person to person. It may be difficult to notice someone who is suffering from it in one look or even a day, as this disorder works in cycles, from periods of normality to joy to depression either in one go or over a period of months. Being a less severe phrase that is similar to the manic episode, lasting for 4 days or longer, the hypomanic episode doesn’t necessarily interfere with someone’s ability to perform daily activities. Unlike the manic episode, this phase sometimes brings productivity and accomplishment to an individual, but the tendency to involve in risky behaviours often yields painful results. Other than recognizing these episodes, there are other signs of bipolar in teens which can be noticedunder home and school settings. Teenagers suffering from bipolar disorder tendto show their extremes at home as the symptoms peak when they are under family-related stress or are tired. They often get frustrated over even trivial things, seem irritated all the time,throw tantrums, fall short in making up plans and meeting them, show unusually sexualized behaviours along with projecting unnecessary fears. At school, these behavioural changes can range greatly. Teenage sufferers can show fluctuations in cognitive abilities, act badly towards provocations, or show signs of learning disorders. Attention deficithyperactivity disorder: a case that amalgamates both ADHD and bipolar disorder experiences a heightened problem with short attention span. Drug or alcohol abuse: both teenage and adult sufferers of bipolar are at a higher risk of getting trapped in substance abuse. Other mental disorders: depression, for example, also manifests similar signs and symptoms to bipolar. Teenagers with bipolar are also likely to experience various kinds of anxiety and separation disorder as well, leading to frequent visits to hospitals. What Causes Bipolar in Teens? 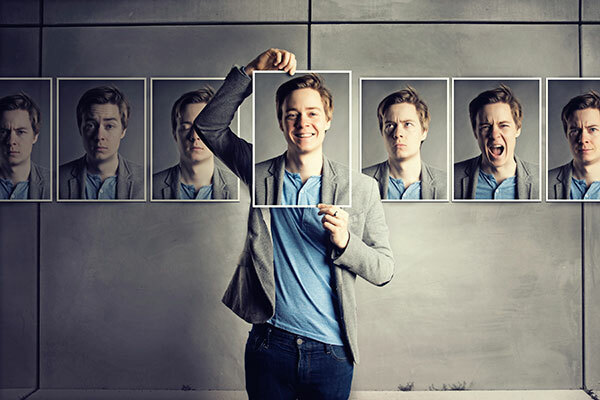 The reason behind the occurrence of bipolar disorder in teens is still unknown, but many researchers carry a strong belief that it is somehow related to individual genes. Along with that, it is stated that environmental and biochemical factors, play a major role in triggering signs of bipolar in teens. There is a belief that an imbalance inneurotransmitters also increases the chance of bipolar disorder. How Is Bipolar in Teens Treated? When it is clear that yourchild is suffering from bipolar disorder, he/she may get prescribed medications from the doctor depending on the type and severity. For hypomanic and manic episode, drugs including lithium carbonate, antipsychotics, benzodiazepines, and anticonvulsants may be prescribed. For the treatment of depression phase, lithium and lamotrigine are some spot-on medications. In addition to medications, the doctor may also suggest taking up psychotherapy to help cope with mood changes. Remember, bipolar disorder carries a high risk of recurrence if left untreated. Sadly, these treatments can only subdue the onsets of mood shifts as there is no way to cure bipolar disorder. Teens can usually get better over a long period of time. Doctors keep track of the signs of bipolar in teens and conduct frequent "mood mapping" and treatment changes that suit various stages. As a parent, you can also play a major part in making the treatment more effective. Maintain a "mood chart" of your kid and keep updating them. You can include behaviour changes and sleeping patterns in the chart that will keep you in sync with your child’s troubles, as well as help the doctor to assess the effectiveness of the treatment.